Do Natural Nootropics Supplements Work? What are Natural Nootropic Stacks? Belgian scientist Corneliu Giurgea coined the term nootropic in the 1970s. Noos, from the Greek meaning mind, and tropos, meaning turn. Protect the brain from physical or chemical injury. In essence, a nootropic is a substance that improves mental functioning, like increased information processing, concentration, memory, or some combination of cognitive benefits. Did you see the films Limitless (2011) starring Bradley Cooper or Lucy starring Scarlett Johansson (2014)? Both of these films center around nootropics and the remarkable potential they represent. Over 20,000 people search for “limitless pill” each month on Google alone. Scientists are on the hunt too. Nootropics, however, are not limitless pills or magic pills that will instantly give you access to universal knowledge or the ability to process it. College students aren’t the only ones using the best nootropics supplements and drugs. In business, high achievers of every variety are catching on to nootropics. Entrepreneurs, and silicon valley executives, in particular, rely on nootropics to give them added brain power to make challenging decisions, capitalize on opportunities, and work longer hours. And there’s an entire “biohacking community” that is continually experimenting with different nootropic supplements and drugs to improve their cognitive performance. So here’s why I was averse to nootropics: they are called smart drugs. And while I too was fascinated with the potential of the drug NZT-48 in the film Limitless, as illustrated in the movie, synthetic drugs have side effects and often harmful, long-term consequences. So I didn’t explore nootropics more deeply for this reason. Most popular smart drugs, like Modafinil, Racetams, Adrafinil, and Noopept, are synthetic substances. Some synthetic nootropics require a prescription; others do not. But at the time, I failed to make the distinction between smart drugs (synthetic) and natural nootropics supplements (derived from substances found in nature). There are many safe, natural nootropics supplements at our disposal. That is, there are naturally-occurring substances that can improve brain function to help us increase intelligence, motivation, learning, mental energy, and memory. Depending on how you define nootropics, substances like caffeine, nicotine, and even Omega-3 fatty acids can qualify. Even in the drug class of nootropics, when you read customer reviews, you’ll find that some smart drugs work for some and not for others. And some people experience more of the side effects of these drugs than others too. And some people experience more of the side effects of these drugs than others too. The trick is that we’re all a little bit different. As I said in the pineal gland detox guide, we’re each a random sample of one. So what works for some, may or may not work for you. That said, the best nootropic supplements do work. The key is to figure out what works for you. And the only way to accomplish this is through experimentation. Before we dive into my short list of the best nootropic supplements, there’s one more concept we need to understand: stacking. A nootropic stack is a combination of two or more of the best nootropic supplements taken together or in a sequence to create specific cognitive benefits. For example, you might take one nootropic supplement to improve your focus and another to enhance your memory. This supplementation technique is called stacking, and it allows you to augment the benefits of a single, natural nootropic. I prefer creating my stack via experimentation. However, I can appreciate that some people prefer the convenience of taking a single, preformulated supplement stack. I’ve been taking a host of supplements for over two decades. I was also involved in the business side of two supplement companies. Through these experiences, I’ve become very skeptical of supplement brands and wary of the quality of their products. There’s only a select number of brands that I’ll recommend or reference. Just because a product, for example, is an “Amazon’s Choice” or bestseller, doesn’t mean it’s a quality product. The #1 best-selling 5-HTP (a cognitive enhancer that increases serotonin production) on Amazon is a product by BioScience Nutrition. The product contains calcium carbonate, which is a known calcifying agent. Unfortunately, calcium carbonate is in many supplements, so you need to read labels carefully. Okay, let’s dive in. Instead of presenting you with a long list of substances, I’ve selected what I believe are the four best nootropic supplements based on available research. I haven’t found negative side effects from any of these supplements in the literature or in my experience. 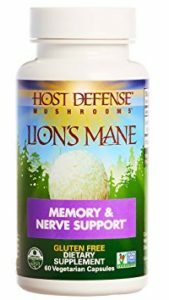 An ancient Chinese medicinal mushroom, Lion’s Mane (Hericium erinaceus) enhances cognitive function and protects nerve cells. Ancient physicians used Lion’s Mane to treat neurodegenerative diseases because it can activate the growth of damaged nerves and restore brain function. Nerve Growth Factor (NGF) is an essential protein for the proper functioning and survival of nerve cells. Lion’s Mane increases the amount of NGF in the brain, enhancing cognition by encouraging neural growth. This 2014 study demonstrates Lion’s Mane’s significant potential for nerve regeneration in rats. And this 2017 study suggests that Lion’s Mane improves memory (also in rats). If you read The Talent Code, you know that as we perform a task repeated, the myelin sheath between related nerve cells gets thicker and stronger. This 2003 study found that Lion’s Mane stimulates nerve myelination. Finally, this human study suggests that Lion’s Mane can help reduce depression and anxiety symptoms within four weeks. Lion’s Mane is a powerhouse substance—one of the best nootropic supplements, ideal for nootropic stacking. When it comes to medicinal mushrooms, look no further than Paul Stamets. Stamets is a leading expert on mushroom cultivation (mycologist). To glimpse his genius, watch his TED talk, 6 Ways Mushrooms Can Save the World. Stamets is the co-founder of a company called Host Defense that offers a full line of mushroom-based supplements. They are USDA organic, non-GMO, and ecologically-friendly. A perennial shrub native to the wetlands of Northern India, Bacopa Monnieri is used in Ayurvedic medicine to improve cognition, memory, and perception. 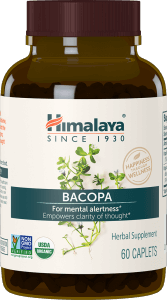 Bacopa is an adaptogen (it helps the body adapt to stress). This 2011 study found that Bacopa Monnieri increases levels of serotonin while decreasing levels of dopamine (which has positive implications for memory enhancement, stress reduction, and mood elevation). This important 2011 study shows that Bacopa increases communication between neurons in rats, suggesting that this powerful substance can help improve learning ability. Studies also show that Bacopa improves memory recall in healthy adults. And this 2008 study of 54 participants 65-years or older found that Bacopa substantially increases recall, attention, and mood. Bacopa is a workhorse for any of the best nootropic supplement stack. The memory-enhancing effects of Bacopa Monnieri often aren’t experienced until after four weeks of daily use. Bacopa is used in many pre-formulated nootropics supplements, but usually with an insufficient amount. The suggested daily dose is 750 mg.
L-Theanine is an amino acid found in green tea leaves (especially those grown in the shade). Studies show that L-Theanine reduces stress and promotes relaxation. It even slows down heart rate variability. 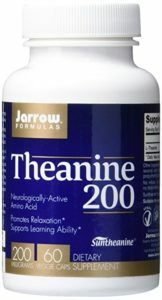 These 2008 studies show that L-Theanine increases alpha brain waves associated with mental alertness and arousal. But perhaps the most intriguing properties of L-Theanine come into effect when you combine it with caffeine. This double-blind study shows that combining L-Theanine with caffeine increases reaction time, memory, and endurance. If you’re a coffee drinker, taking L-Theanine can mitigate many of the adverse effects of caffeine like jitteriness and increased blood pressure. L-Theanine is an excellent supplement for nootropic stacking. Of the four natural, best nootropic supplements listed in this guide, you’ll probably notice the effects of L-Theanine the fastest. While Bacopa and Lion’s Mane increase cognitive ability, Rhodiola Rosea primarily serves to preserve cognitive function. However, clinical research suggests it boosts cognitive ability too. Rhodiola Rosea is a high-altitude herb native to the Arctic regions of Europe and Asia. Traditional Chinese, Scandinavian and Russian medicine use it as a remedy for fatigue and restoration. This 2012 study shows that Rhodiola reduces many physical symptoms of fatigue including muscle soreness, sleepiness, and headaches. In one double-blind, placebo-controlled study, a group of 56 healthy physicians on night duty took Rhodiola daily for six weeks. 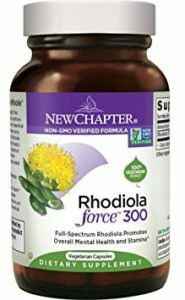 While the researchers were studying the effects of Rhodiola on stress-induced fatigue, they found that compared to the placebo group, the physicians who took this nootropic supplement outscored the control group on a range of cognitive aptitudes including short-term memory, concentration, calculations, and overall mental fatigue. Finally, this double-blind study of students taking exams shows that Rhodiola increases well-being, reduces mental fatigue, and improves test-taking ability. Students taking Rhodiola scored an average of 8.4% higher on exams than those in the placebo group. Rhodiola is a well-rounded herb—one of the best nootropic supplements, great for stacking or individual use. Take Rhodiola Rosea in the morning, preferably before eating. An entire “biohacking community” has formed over the last decade, as many achievers want to perform at the highest level they possibly can. I don’t have a problem with biohacking itself. Many biohacking tactics make good sense. I was doing a lot of biohacking before I heard the term. For example, wearing blue-blocking glasses is a biohacking tactic. But, to borrow an idea from American philosopher Ken Wilber, there’s an essential difference between states of consciousness and stages of consciousness. A higher state of consciousness is a momentary, time-dependent experience. A higher stage of consciousness represents a new, permanent structure in your being. Why is this distinction important? Natural nootropics supplements can temporarily augment your cognitive ability, offering you a kind of higher state of consciousness. Although there may be exceptions, most of them don’t provide any structural changes. Simply put, even the best nootropic supplements might help us “achieve more,” but in and of themselves, they won’t encourage our development. Nootropics won’t facilitate our self-mastery. But, I believe there’s a middle ground: use the best natural nootropic supplements to get your brain back online while you continue your personal development. For example, let’s say you’re sitting down to write. You’ve got two hours set aside. You’ve eliminated all outside distraction. It’s just you and a blank screen. Why not sit down with natural cognitive enhancers that support mental alertness and memory? I would, however, still suggest using something like The Mastery Method to enter an ideal mental state before you create and work on your projects.